Folk music and a collection of feminist poetry may well be dead giveaways that there is a liberal in the house. But what about an ironing board or postage stamps or a calendar? What seem to be ordinary, everyday objects to some people can carry a storehouse of information about the owner’s ideology, says a new wave of social scientists who are studying the subtle links between personality and politics. Research into why someone leans left or right — a subject that stirred enormous interest in the aftermath of World War II before waning in the 1960s — has been revived in recent years, partly because of a shift in federal funds for politics and terrorism research, new technology like brain imaging and a sharper partisan divide in the nation’s political culture. “I believe that recent developments in psychological research and the world of politics — including responses to 9/11, the Bush presidency, the Iraq War, polarizing Supreme Court nominations, Hurricane Katrina, and ongoing controversies over scientific and environmental policies — provide ample grounds for revisiting” the psychological basis of Americans’ opinions, party and voting patterns, [Situationist contributor] John T. Jost, a psychologist at New York University, wrote in a recent issue of American Psychologist. The newest work in the field, found in a growing number of papers, symposiums and college courses, touches on factors from genetics to home décor. . . .
For anyone who assumes political choices rest on a rational analysis of issues and self-interest, the notion that preference for a candidate springs from the same source as the choice of a color scheme can be disturbing. But social psychologists assume that all beliefs, including political ones, partly arise from an individual’s deep psychological fears and needs: for stability, order and belonging, or for rebellion and novelty. These needs and worries vary in degree, develop in childhood and probably have a temperamental and a genetic component, said Arie Kruglanski of the University of Maryland. A study of twins, for instance, has shown that a conservative or progressive orientation can be inherited, while a decades-long study has found that personality traits associated with liberalism or conservatism later in life show up in preschoolers. No one is arguing that an embrace of universal national health care or tax cuts arises because of a chromosome or the unconscious residue from a schoolyard spat. What Mr. Jost and Mr. Kruglanski say is that years of research show that liberals and conservatives consistently match one of two personality types. Those who enjoy bending rules and embracing new experiences tend to turn left; those who value tradition and are more cautious about change tend to end up on the right. What’s more, these traits are reflected in musical taste, hobbies and décor. Dana R. Carney, a postdoctoral fellow at Harvard University, who worked with Mr. Jost and Samuel D. Gosling of the University of Texas at Austin among others, found that the offices and bedrooms of conservatives tended to be neat and contain cleaning supplies, calendars, postage stamps and sports-related posters; conservatives also tended to favor country music and documentaries. 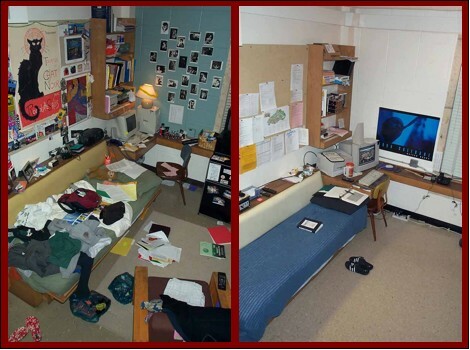 Bold-colored, cluttered rooms with art supplies, lots of books, jazz CDs and travel documents tended to belong to liberals (providing sloppy Democrats with an excuse to refuse clean up on principle). 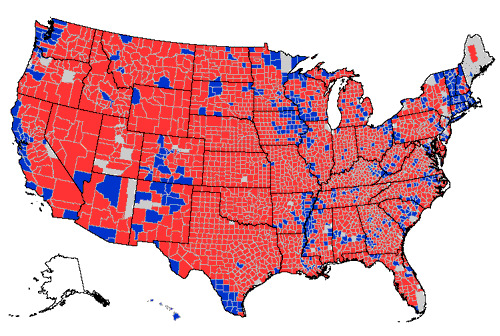 So how does he explain the red-blue divide? “Areas with less mobility and less diversity generally have the more traditional,” broadened definition of morality, “and therefore were more likely to vote for George W. Bush — and to tell pollsters that their reason was ‘moral values,’ ” he and his co-writer, Jesse Graham, say in a paper to be published this year by The Journal Social Justice Research. Mr. Jost did his own research on the red-blue divide. Using the Internet he and his collaborators gave personality tests to hundreds of thousands of Americans. He found states with people who scored high on “openness” were significantly more likely to have voted for the Democratic candidate in the past three elections, even after adjustments were made for income, ethnicity and population density. States that scored high on “conscientiousness” went Republican in the past three elections. To read the entire article, click here. 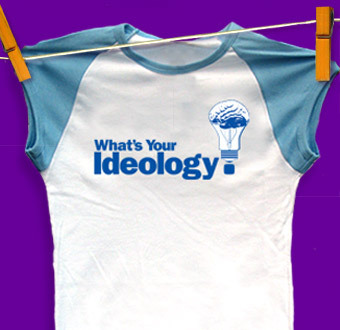 For two previous Situationist posts on the situation of ideology, see “Ideology is Back” (by John Jost) and “Ideology Shaping Situation of Vice Versa.” For an interview of Patricia Cohen and Jesse Graham on WNYC Public Radio, click here. This entry was posted on November 12, 2007 at 12:01 am	and is filed under Conflict, Ideology, Politics, Social Psychology. You can follow any responses to this entry through the RSS 2.0 feed. You can leave a response, or trackback from your own site. Conscientiousness = Republican, so I’m getting out of this that republicans think about their choice whereas ‘Openmindedness’ i.e. Democrats, go with whatever sounds good at the moment……Gotcha.